“a Lamp to my feet. a Light for my path.” – Matthew 5:17-18 | A LAMP TO MY FEET. A LIGHT FOR MY PATH. This is a strong affirmation by Jesus, that the Law will never be destroyed until it is fulfilled. 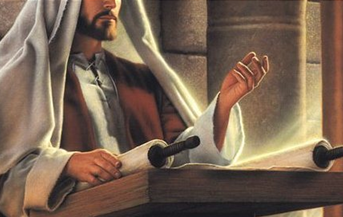 Jesus stresses the perpetual value of the Old Testament – it is the Word of God, and because it has a divine authority it deserves total respect. Our Lord emphasises that the spirit and substance of the Law, which requires love and obedience to God and love to people, cannot be changed and will last forever. Jesus gives the moral precepts of the Law, greater weight and meaning, and they still hold good in the New Testament. Jesus completes the Law and the sayings of the Prophets, in us, by giving us the grace to love the Lord our God with all our heart, soul, mind, and strength, and our neighbour as ourselves. and I desire to do Your will.